On behalf of the pupils, staff, governors and Trust I would like to welcome you to Briar Hill Primary School. As a school we share the vision to broaden horizons for our pupils. We are proud to be part of the David Ross Education Trust (our school sponsor) which has brought about collaboration and amazing opportunities for the school. Please see further in our website for more details. We work hard to ensure that all pupils receive the best possible learning opportunities and that their learning journey with us is the best it can possibly be. The happiness and success of every child is central to our school’s work. 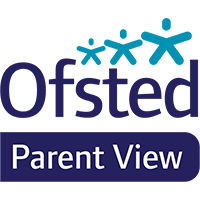 Promoting high levels of achievement in all aspects of a child’s development is important to us, and is reflected in all we do. We are an expanding primary school with our own nursery attached. We pride ourselves on inclusion across the school and the nursery children regularly attend assemblies and celebrations in order to integrate them into the school life. As a school we are proud of our pupils, who support and welcome each other into the community of Briar Hill. We also like to go out into the community, our school mini buses allow us to go on a range of activities and outings all year long, a huge thanks are due to the staff here who ‘go the extra mile’ for the children. As a school we welcome and encourage comments from the local community. Please contact us on mhardy@briarhillprimary.co.uk if you wish to do so. We look forward to hearing from you.